We were very pleased to be a part of this year’s March Against Monsanto in London. The British weather lived up to its reputation for being unpredictable and contrary, but many hundreds of people braved the rain and wind to come together, watch the performances, hear the speeches and generally feel connected to others around the world and to a cause that is becoming increasingly important: challenging the direction of travel of global food production. For many that challenge means taking on several different tasks such as taking back our food and seed supply from corporate control, putting more money into agroecological methods of food production, changing our own eating and shopping habits, and thinking about the long-term instead of always the short term. It is the totality of all these tasks that will move us forward. The March Against Monsanto has always been a values led activity that attracts people who simply want a return to a more human and humane way of living. Beyond GM was fortunate to be among the campaigning groups (such as GM Freeze, GEN Network, War on Want, Stop TTIP and the Landworkers’ Alliance) asked to speak. Director Lawrence Woodward reminded everyone that to be opposed to GM is a rational response and not – as the media so often caricatures activists – the response of dumb, anti-science, Luddite, selfish, child killers. His message was very simply that it’s time to change the narrative, in the media certainly, but also in our own heads. The science is on our side, the public is on our side and it’s time to be confident and active and articulate and get on with the business of changing the world. 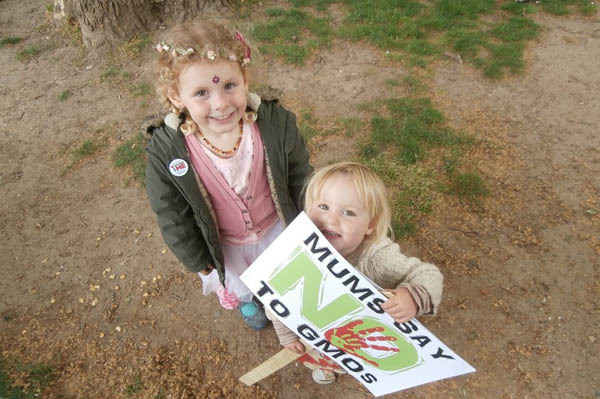 Our Mums Say No to GMOs group was also a very visible force on the day. 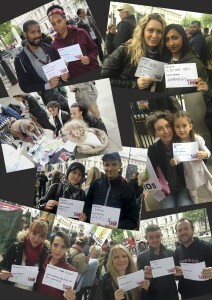 Their colourful placards and t-shirts were everywhere and two of the founding members, Freya Meredith and Eva Fernandez (with the help of baby Ruby), stood up and introduced the network to the assembled crowd with a talk that was both charming and passionate. It is clear that this group is a future force to be reckoned with. Beyond GM Director Pat Thomas was interviewed for RT News about why people march and why, in a so-called European democracy where the majority do not want GMOs, our politicians still insist on peddling GMOs to the public. 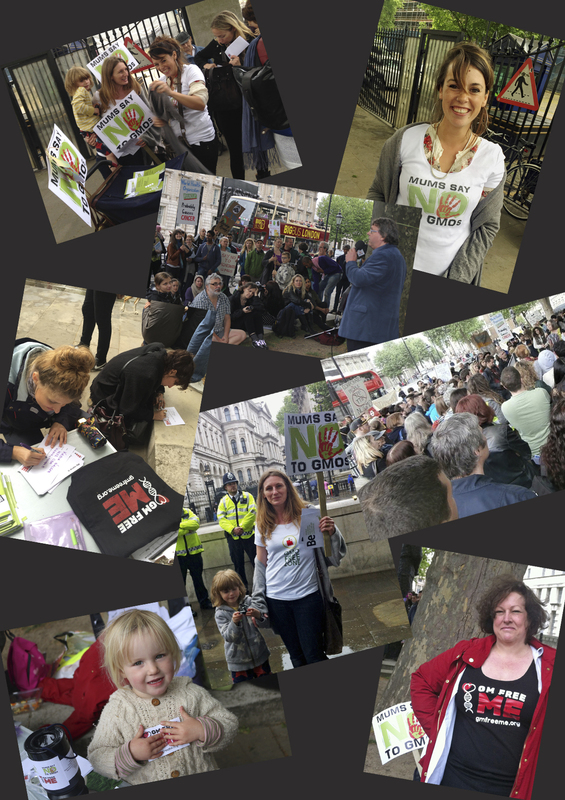 We had a busy table at the event, manned by Pat and volunteers from Mums Say No to GMOs, where people could get literature and sign up to the GM Free Me campaign and talk to us about their own concerns. We were so grateful to everyone who showed up and stopped to talk to us and who gave greatly appreciated donations that help ‘pay it forward’ by funding more of our unique public outreach, for instance through GM Free Me and more GMO OMG evenings and more sensible literature about what the problem is, what we can all do about it and what the solutions are. As Lawrence said in his speech, if this movement to keep GMOs out of the UK is to succeed we absolutely need to get people on board who are not the ‘usual suspects’ – people who are part of the majority who care about their food, their families and their futures, but who maybe never saw themselves as ‘activists’. 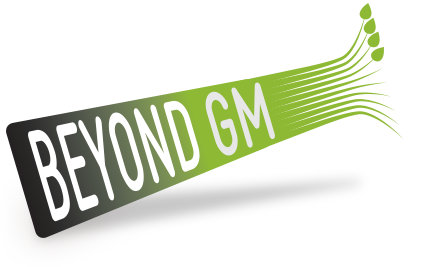 That’s what Beyond GM is all about. What Saturday’s march showed is that activists come in all kinds of packages and persuasions. We all need to do what we can and work together to make this push for much needed change effective. 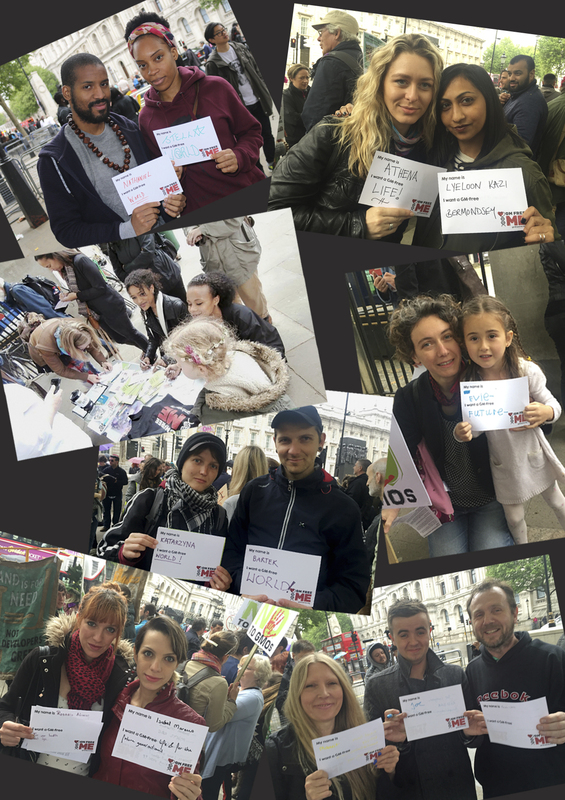 Thanks to the March Against Monsanto London organisers for all their terrific efforts in bringing a varied programme together on the day.